For the hard of hearing it can be incredibly difficult to hear ordinary things like the doorbell, which can make life incredibly frustrating and isolating over time. So it's important that they have tools at their disposal which can keep up with their needs. A great addition to any Lisa alert system, the Lisa Alert System TX Doorbell Direct Transmitter is a doorbell transmitter for the hard of hearing which acts as a part of a wider alert system. For maximum quality and reliability of use, the transmitter wires directly into an existing doorbell so you don't need to completely replace your existing system. It can even connect to two doorbell chimes, for example for the entrance to your building and the entrance to your flat, ensuring that you are alerted when you need to be. If it's not practical to wire directly into your doorbell system or you don't feel confident doing so, the Lisa Alert System TX Doorbell Acoustic Transmitter is a fantastic alternative which uses sound instead of wires to detect the doorbell. 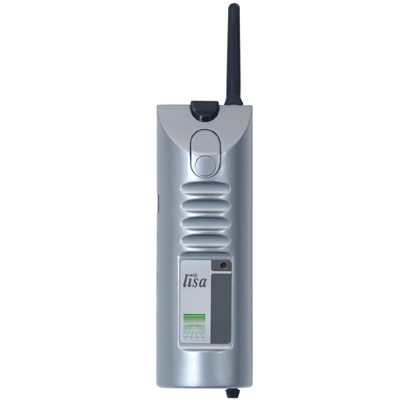 Any and all Lisa alert system receivers in range are alerted by the transmitter. Thanks to the configuration of Lisa receivers, the tone or pattern for the Doorbell event is unique, enabling users to know right away that the door requires their attention. Please note: this listing is for a Lisa transmitter only and does not include the Lisa receiver required for the system to function. Additionally, this should only be used with low voltage doorbell systems between 3V and 15V.